Custom Sizes perfect for Big Joshy Swimbaits. 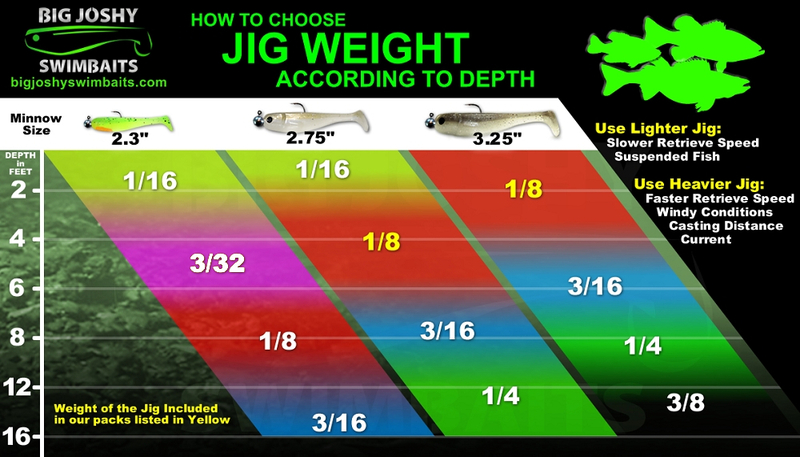 These are the same jigs included with the 2.75" Minnows. 1/8 oz 2/0 recommended for 2.75" Big Joshy Minnows and Craws.